India has rich cultural and historical heritage well preserved in its temple architecture and pilgrim sites. There are thousand of shrines, worship places and temples in North India dating back to hundreds of years. Many theories have been formulated to explain the existence of these holy sites in such a huge number, paving the path to attain salvation or "nirvana". The statuary and adornment in these ancient temples of North India showcases one of the world's foremost artistic heritages and also of the North India pilgrimage. The basic structure of temples in India is a room or Garbhagriha (sanctum sanatorium) where the idol of the main deity is kept. The temple is approached by a flight of steps and is often built on a platform. A porch covers the entrance to the temples, which is supported by carved pillars. 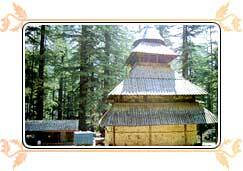 A prominent roof called the shikhara surmounts the top of the Garbhagriha, and dominates the surroundings. As time went, by small temples grew into temple complexes. Some temples have a hall or mandap from where one can reach the sanctum sanctorum. Temple architecture in India is broadly divided into northern and southern styles, classified by the form and shape of the shikhara and the distinctiveness of its decoration. The shikhara of the temples in South India tend to be made up of distinct horizontal levels that diminish to form a rough pyramid. Each level is decorated with miniature temple rooftops. The shikhara of the temples in North and Central India, in contrast, resembles an upturned cone that is decorated with miniature conical shikharas. Some temples developed their own local flavor apart from adhering to their basic native style.